Just $139.00 plus tax - Book Your Room Today! * If you already purchased your FOS tickets, call for a room rate, and mention Field of Screams. Housed in a former industrial warehouse along with the country’s largest indoor sports facility, The Warehouse Hotel offers a destination like no other. It offers an unmatched opportunity to dine, play and stay under one roof, no matter how large or small your group. And it is a celebration of green, sustainable architecture with surprises around every corner. Just minutes from Field of Screams and downtown Lancaster. Get special room rates with this deal between September 8th, 2018 and November 10th, 2018. 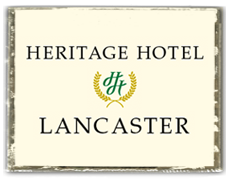 Enjoy special room rates for your stay in Lancaster between November 9th, 2018 and November 11th, 2018. Enjoy a discounted rate with the brand you trust when visiting Field of Screams. Located a short drive away, the recently renovated Hampton Inn Lancaster offers free hot breakfast buffet and free WiFi, all in a quiet and convenient location. Get Hilton Honors points for your stay to use towards a free night or Amazon shopping, plus enjoy four unique restaurants within walking distance. Discounted rate valid from September 8th to November 10th, 2018.